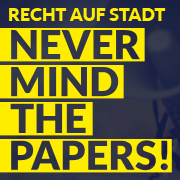 Never mind the papers goes 1. Mai! Du browst gerade in den Gruppe – formerly known as GEW-Studis Hamburg Weblog-Archiven nach dem Monat April 2015.